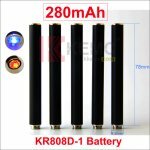 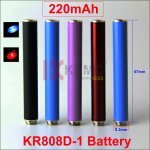 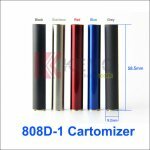 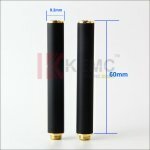 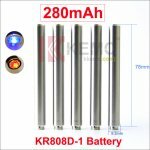 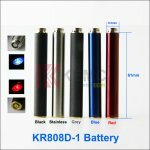 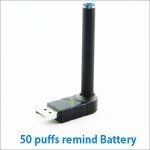 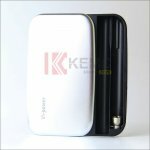 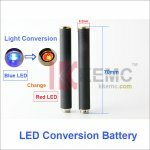 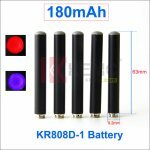 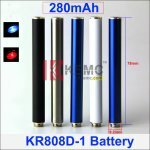 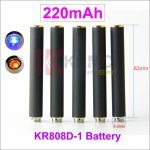 The KR808D-1 Battery is a mini e-Cigs battery, No ON / OFF button on the KR808 battery. 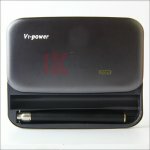 please choose 5v 120mah or 5v 400mah usb charger for the battery. 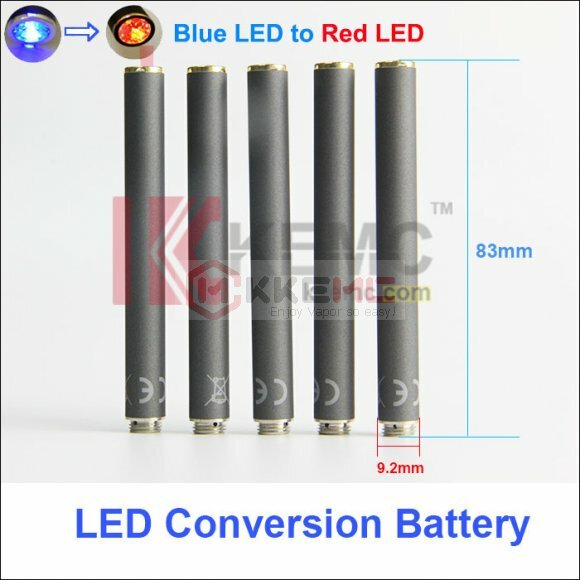 You can choose it for the Red LED conversion Blue LED OR Blue LED Conversion Red LED. 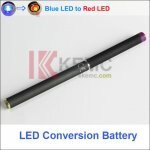 it will display blue led light when you smoking, after 300 puffs, it will display red led light, you can continue to smoke about 100 to 150 puffs, Total 400 to 450 puffs for 300mah battery. it will display blue led light when it is charging, After the battery is fully charged, it will display red led light all the time. 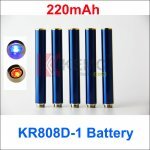 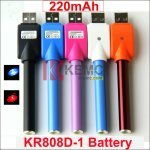 How to charge for the KR808d-1 batteries? * Screw the battery into a USB charger for 808d-1 battery, which is connected with a computer or a flat AC-USB adapter. 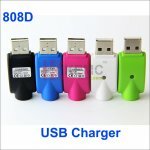 * With a USB charger for 808d-1 battery and a 2A Car -Dual USB Power Adapter,you can charge it on car. 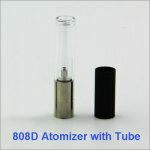 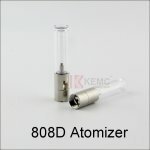 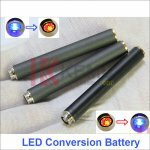 Please don't connect battery when you refill liquid into atomizer/cartomizer. 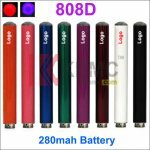 The eliquid is prohibitted into 808d battery. 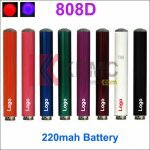 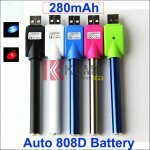 How to test and judge the 808d battery good or bad? 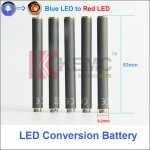 Please read here. 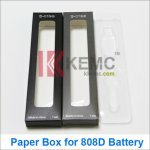 How to extend the 808d-1 battery life? 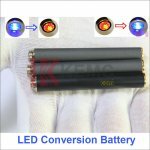 Please read here. 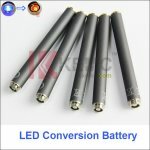 * The picture is for reference only, subject to our existing products. 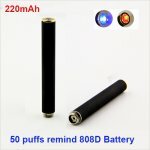 Warranty: 180Days, Battery: A+++, Please refer to Warranty Policy for details. 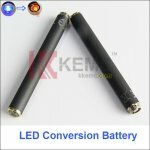 Any question please Contact us, We will reply to you in 24 hours.